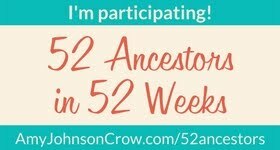 Genealogy Dragnet: Jamboree This Weekend! I got my bag packed, changed my purse to one that has a shoulder strap. Want my hands free while at SCGS Jamboree. I've been attending most of SCGS Jamborees' since they were held in Pasadena. It's one of my favorite conferences each year. The last few years I've been staying at the hotel next door. It's been so convenient. This year I'm meeting one of my local society's Board member. She's staying at the hotel too, we're planning on taking in some of the same sessions on Friday, the Friday night banquet and similar sessions on Saturday. I'm bringing along my netbook and will try and blog during the session breaks. I hope to meet some of my favorite bloggers I follow.